CHENNAI.AUG.30: The Clinical Research unit for Homoeopathy,Chennai distributed the Homoeopathic preventive medicine for Flu Like Illness and swine flu for 2880 students of Central Poly Technic, Tharamani. The team of Doctors lead by Dr.Kolli Raju, Asst .Director, CCRH, Dr.Miss. Jeya Sangeetha, distributed the medicines. Mr.Vijayakumar, N.S.S officer of the CPT and Thiru. Pon. 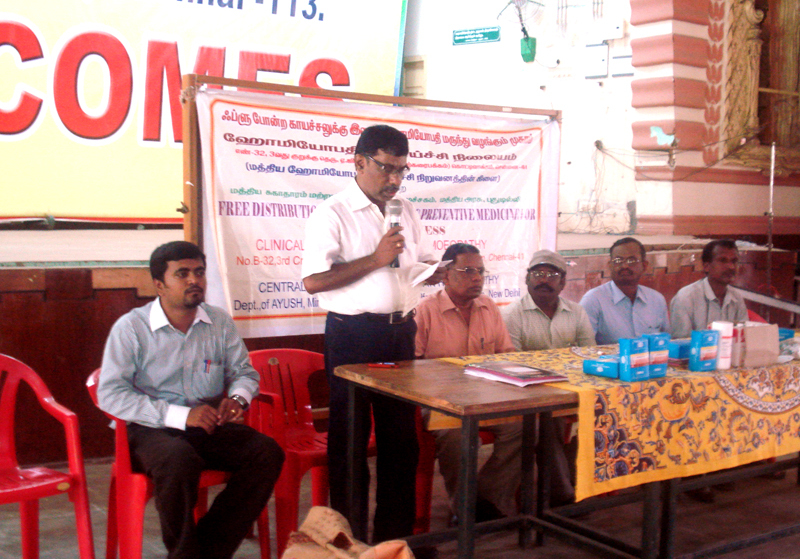 Kalai Mani, General Secretary Exnora International and Mr.V.Sugananth co-ordinated the camp.